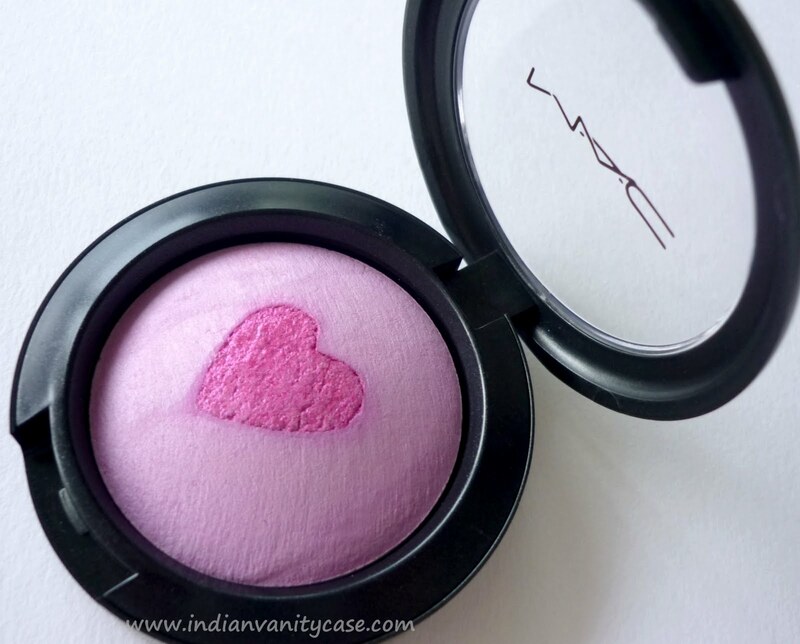 MAC Quite Cute Collection was launched today. I woke up with a big smile on my face, mainly coz I haven't shopped for so long (since my vacay). I decided not to buy any makeup for at least 6 months, but this doesn't count coz it's limited edition stuff ;p. But you know I'm right there. 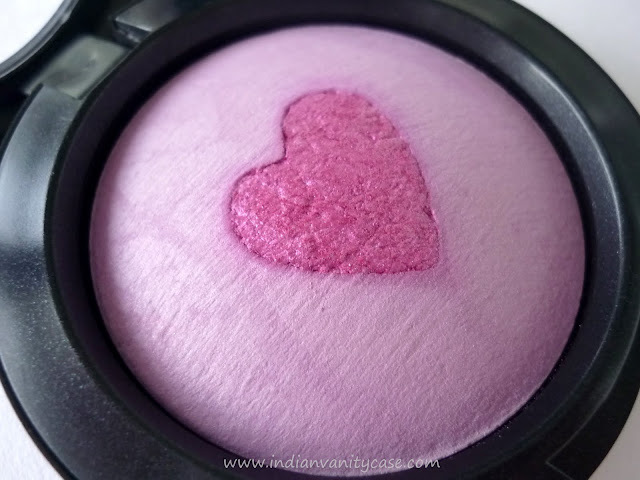 Mineralize Blushes in Giggly & Sakura: They are also called Kawaii Baked Heart Blushes. "Kawaii" means "pretty" or "cute" in Japanese. I'm so glad that these aren't too shimmery. 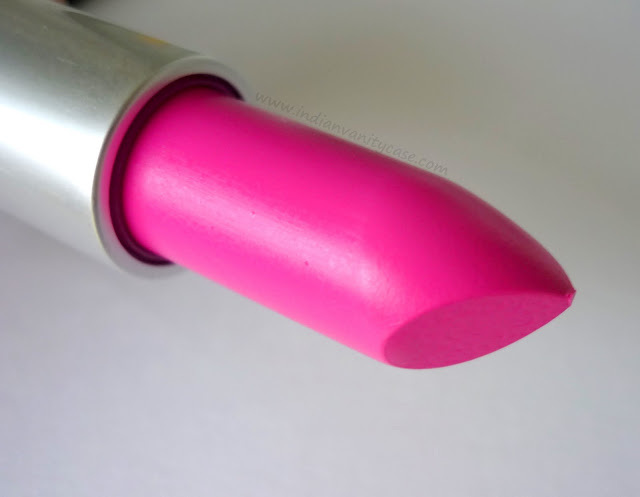 Lipstick in Candy Yum Yum: A matte neon pink shade. MAC Mineralize Blush Sakura, Rs.1400 ~ Lavender with pearly deep magenta heart. 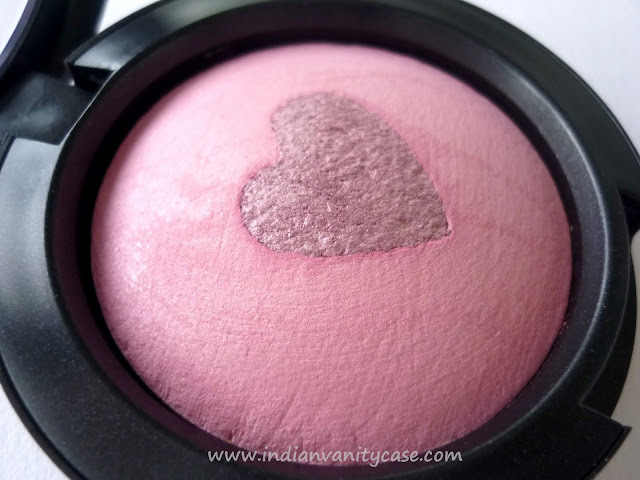 I have wanted a purple-toned blush for so long. 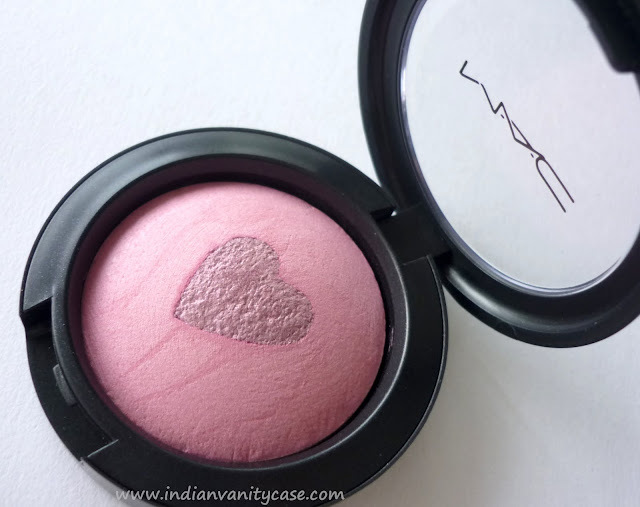 MAC Coygirl blush is never in stock over here, so I really really wanted this one. 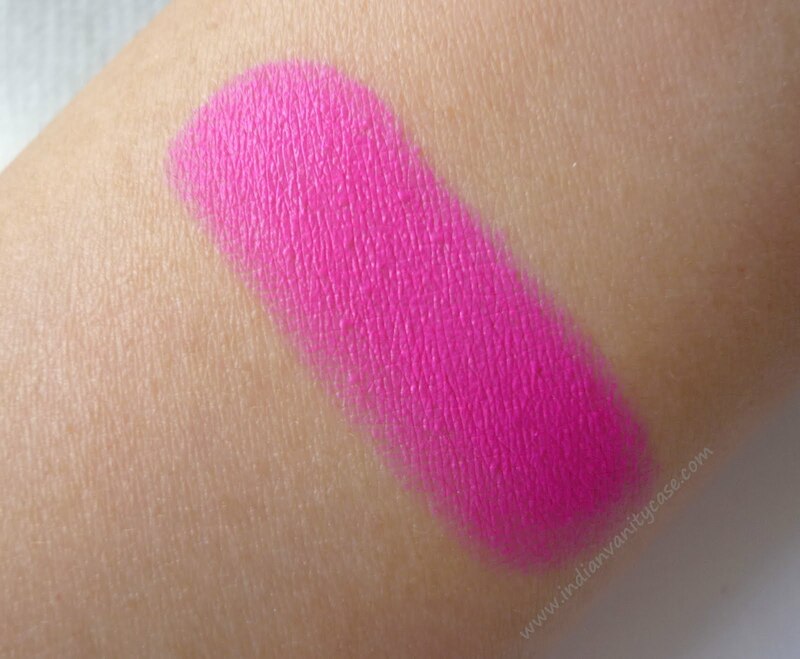 MAC Candy Yum Yum Lipstick (Matte), Rs.990 ~ This Neon Pink is the brightest pink lipstick I own now. It looks so yum! I love it! Woww all of them are sooo cute!!! 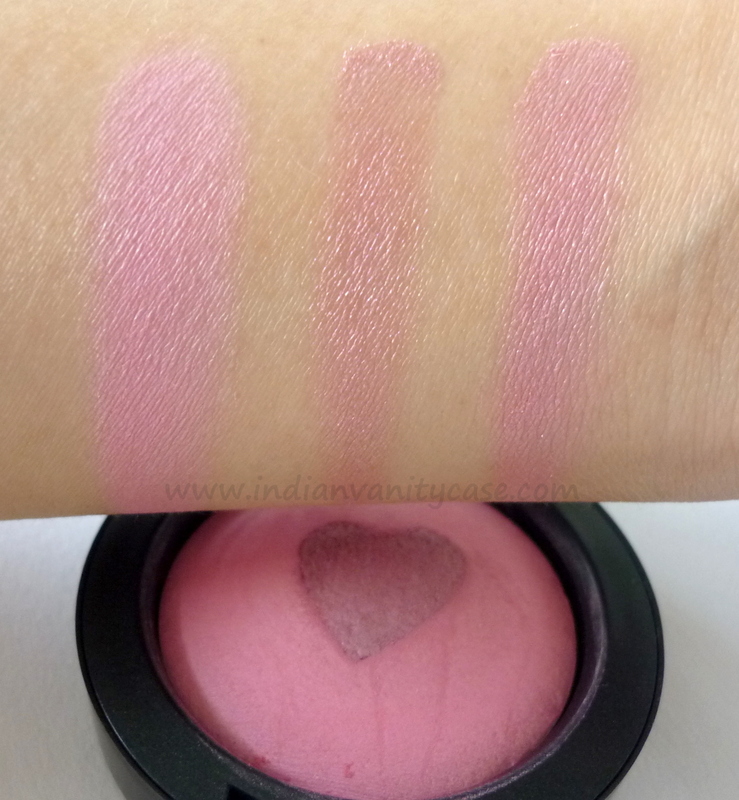 The blushes look sooooo prettyyY! Candy yum yum is sooooo yummmmmm!!!!! <3 <3 <3 me wants!!! These swatches are so lovely! Shasha ~ Hi :), I'm Mac NC25. Price (of MAC)- About the same in Malaysia & India. I think it's a little more expensive in Singapore, like everything else. Most of this collection seemed too light/bright for my tastes but I can't wait to see them on you. 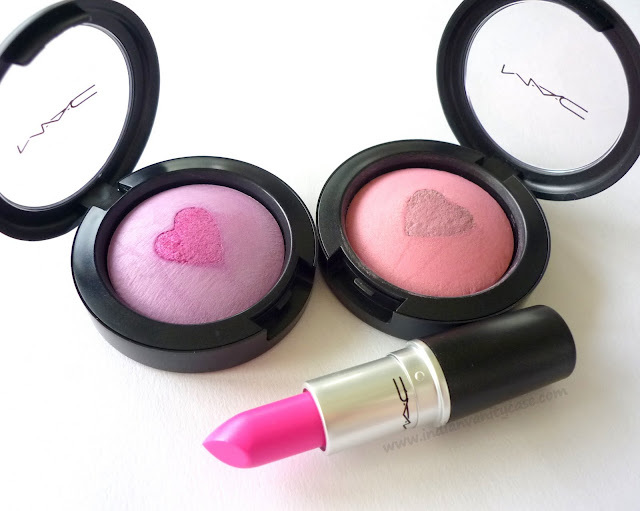 that pink blush looks so cute! Great haul! 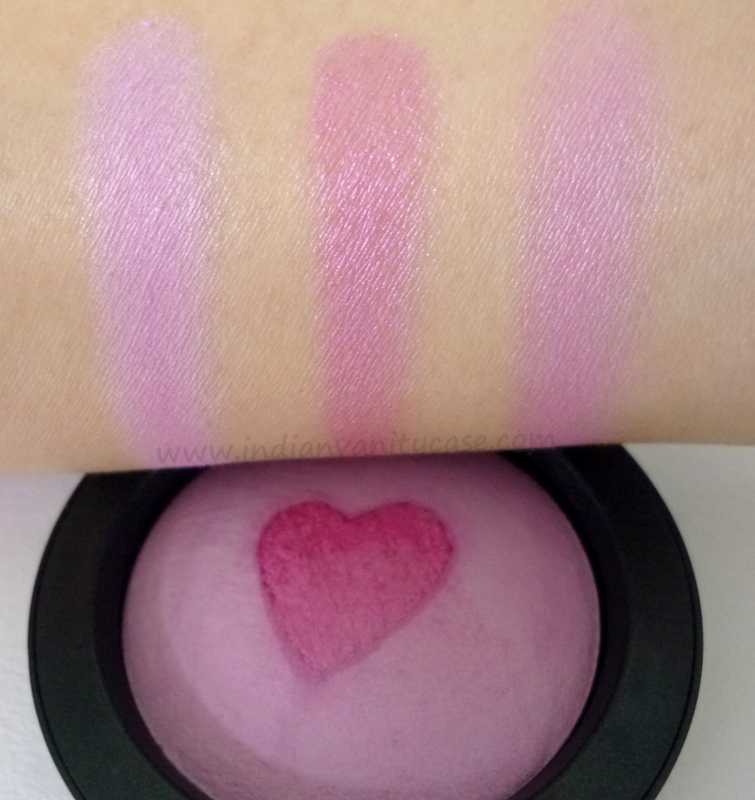 If I knew the blushes looked like that I would've picked some up! Lol. wow you're lucky to get your hands on them. I wasn't. Love the color of candy yumyum. Wish they still have it here. I ordered a lipstick last week, and it is far too light for me (see name below). I am an Indian who is tan. giggly is nice...u wud look super pretty wit dat hot neon pink !! Great haul! Makes me wish I had picked up at least one of the blushes when it was available in the US. Woww the lipstick looks great!! I really love your blog!! Can you please tell me which camera do you use?